Maureen Metcalf & Mark Palmer. . Innovative Leadership Fieldbook. Tucson, AZ: Integral Publishers. What is interesting about this book? One of my favorite papers on “interesting” suggests that showing what seems to be complicated and disparate is actually straightforward and connected is interesting (Davis, 1971). 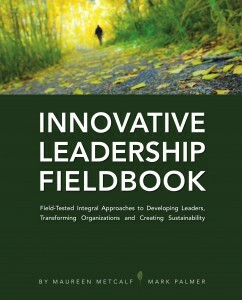 The world of leadership development is definitely ready for a “straightforward and connected” contribution, and Metcalf and Palmer make it with the Innovative Leadership Fieldbook (ILF). As a reviewer, I believe it is my responsibility to show you why I think this book makes a contribution, and is worth your investment of time. To evaluate what a framework contributes, I will use the CRISP criteria (Ritchie-Dunham, 2008), which basically suggest that if we want to understand something through any given framework, the framework should support our understanding of how Comprehensive, Rigorous, Integrative, Simple, and Purposeful it is. This book scores high on all five. On Comprehensiveness ILF scores high. ILF defines rigor as a framework that is proven to deliver strong results and based on solid science. The authors bring in very credible, often peer-reviewed tools that they have themselves tested with many leaders over many years. ILF scores high on rigor. Integrative means that the framework makes clear how the different elements fit together. Using the AQAL framing and a pyramid structure, ILF is very explicit about how the inner, outer, developmental, and type perspectives fit together. On Integrative ILF scores high. Perhaps the authors’ most significant contribution is the Simple criteria. Simple means understandable to intelligent leaders, in this case, not dumbed down. Metcalf and Palmer provide an elegantly simple and, thus, very accessible entry to material that is often presented in very complicated and overly complex ways. ILF excels on the Simple criteria. The book also defines the Purposeful criteria for leadership development as one that enables leaders to critically self-assess and authentically engage in their own development, so that they can influence AQAL alignment and movement, directionally and tactically. If it does not meet that purpose, it should not be in the framework. On the Purpose criteria, the book does well, providing tools for critical assessment, examples of how others worked with the tools, and processes for implementing the insights from the tools. These are five major contributions to a literature on leadership development that usually scores low on all five CRISP criteria. Now that it is clear that ILF makes a contribution, what does the journey look like? This is the content question. ILF proposes a design for a multi-month journey into one’s own leadership. The design comes in two segments: lenses and processes. The first segment describes five different lenses into one’s own leadership, keying on different AQAL dimensions. The second segment suggests a six-step process that uses the lenses to critically assess and re-define one’s own leadership. The first segment looks at leadership development from the integral lenses of type, stages, resilience, all-quadrants, and behaviors. For types, ILF uses the Enneagram to explore types of individuals and teams, providing a simple language, tables, examples, and reflections for using this lens. For stages of ego development, ILF uses the well tested Maturity Assessment Profile developed by Susanne Cook-Greuter, providing brief, rich profiles of leaders at different developmental stages. Resilience is explored using a physical well-being, thinking, emotional intelligence, and connection framework presented earlier in this journal (Metcalf & Gore, 2011). Building on leadership type, stage, and resilience, an all-quadrants perspective is used to analyze any leadership situation. Finally, the lens that rests on top is the Leadership Circle Profile of a leader’s creative and reactive people and task behaviors. Each lens is presented simply, with clear leadership examples from the authors’ experience, ending with reflection questions for the reader. 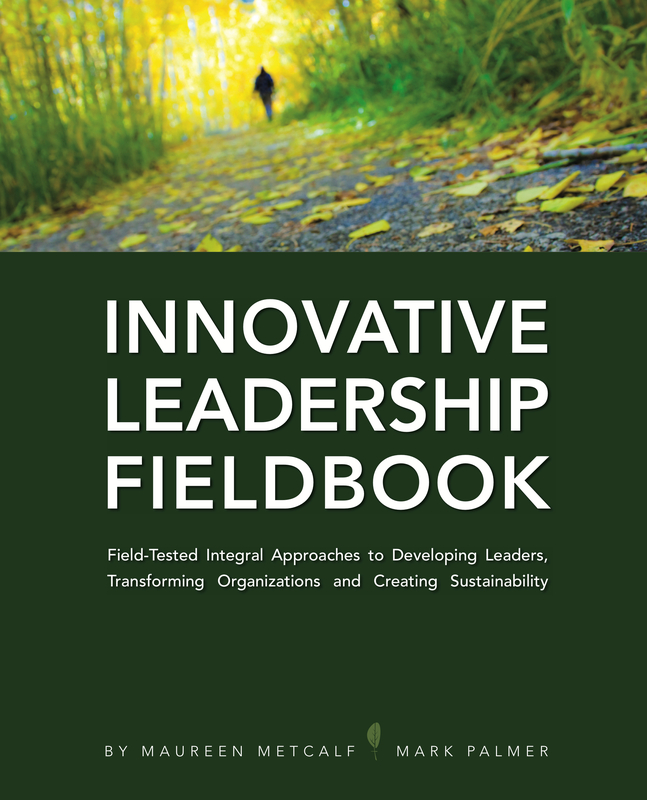 The authors then walk the reader through a six-step process for living into what is seen through the integral lenses of innovative leadership. Each step is broken down into a series of straightforward and insightful questions that uses the insights from the integral lenses. The six steps are: (1) create a compelling vision of your future; (2) analyze your situation & strengths; (3) plan your journey; (4) build your team & communicate; (5) take action; and (6) embed innovation systematically. The brilliance of the book is how CRISPly these traditional areas are presented, making the deep, transformative use of the material relatively easy, engaging, and useful. That is a lot to accomplish in 263 pages. I highly recommend the Innovative Leadership Fieldbook to anyone who is ready to take on the transformation of their own leadership. 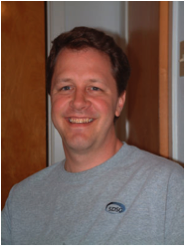 Jim Ritchie-Dunham is a student of the agreements that guide human interaction. He explores these agreements through practice, research, and teaching. Jim is president of the Institute for Strategic Clarity, a trustee of THORLO, and an adjunct faculty member at the EGADE Business School and at Harvard. Jim’s work has focused primarily on understanding human agreements as integral systems, developing strategy from a systems-resource perspective, and fostering large-scale social-change as a collaborative, holistic inquiry. He has developed conceptual frameworks in his work with executive teams in corporate, government, civil society, inter-sectoral, and global-action-network settings for twenty years in seventeen countries. Jim co-authored the book Managing from Clarity: Identifying, Aligning and Leveraging Strategic Resources, and has written many articles on integral, systemic strategy for academic and practitioner journals. Davis, M. F. (1971). That’s Interesting: Towards a Phenomenology of Sociology and a Sociology of Phenomenology. Philosophy of Social Science, 1, 309-344. Metcalf, M., & Gore, B. (2011). Resilience Through The Integral Lens – A Case Study. Integral Leadership Review, 11(2). Ritchie-Dunham, J. L. (2008). A Collaborative-Systemic Strategy Addressing the Dynamics of Poverty in Guatemala: Converting Seeming Impossibilities into Strategic Probabilities. In C. Wankel (Ed. ), Alleviating Poverty through Business Strategy (pp. 73-98). New York: Palgrave Macmillan. Wilber, K. (2000). A Theory of Everything. Boston: Shambhala.